Your toddlers will really enjoy watching this car cartoon! 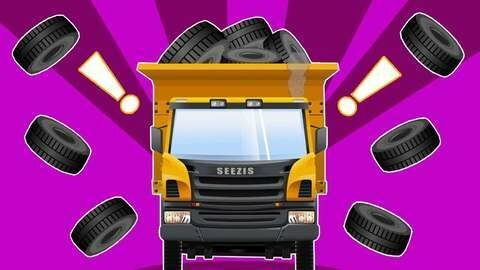 Orange dump truck keeps accidentally dropping the tires he's carrying. Luckily, yellow excavator and red race car catch the tires and tell him. Find more free full episodes of your favorite car cartoon show at SeeZisKids.